Sep 2015: Greg Tew and Prof. Ken Carter were chosen to receive a coveted National Science Foundation Research Traineeship award which funds them with $2.5 million to support 74 graduate students over 5 years in obtaining a 2-year Graduate Certificate for Soft Materials in Life Sciences. Check out the website for more information on this program. Aug 2015: Orett Burke, Jr., was one of several undergraduates working in the Tew lab during Summer 2015 as part of the REU program; see the UMass Profile of Orett's UMass experience here. Mar 2014: Pictured at right: Greg is inducted into AIMBE College of Fellows at the National Academy of Sciences in Washington, DC. Greg is one of the Co-chairs of the Organizing Committee for the new Center for Bioactive Delivery as part of UMass Amherst's Institute for Applied Life Sciences (IALS) whose mission is "Advancing Life Sciences Research to Improve Human Health." Jan 2014: Greg has been elected to the American Institute for Medical and Biological Engineering (AIMBE) College of Fellows. Jul 2013: Watch Greg's post doc Dr. Federica Sgolastra, working in collaboration with chemical firm BASF, discuss her experience here. Mar 2012: Prof. Tew, along with Prof. Michael A. Hickner of Penn State, were mentioned in an article entitled "Ionic Membranes Go Metallic" in Chemical & Engineering News (Vol 90, Issue 12; March 19, 2012; p. 11; News of the Week) for their work on cross-linked metal ionomers used in fuel-cell applications. Read the article here. July 2011: Greg receives his full Professorship at UMass. Congrats! May 2004: Pictured at right: Greg receives The Presidental Early Career Award for Scientists and Engineers (PECASE); Click on link to read PECASE Press Release. Greg attended the 2015 NOBBChe and SACNAS conferences to recruit incoming graduate students to the Soft Materials for Life Sciences r National Traineeship Program (NSF funded) for which he serves as Co-Director. Greg serves as Co-Organizer of the 3rd Future Faculty Workshop: Diverse Faculty of Tomorrow, along with Professor Rick McCullough from Carnegie-Mellon, and Professor Tim Swager, MIT. To see photos of the workshop click here. Sep 2015: Greg Tew (co-Director) and Kenneth Carter (Director) have been awarded $2.5 million from NSF for a 5-year National Research Traineeship offering two year certificates to graduate students in Soft Materials for Life Sciences. 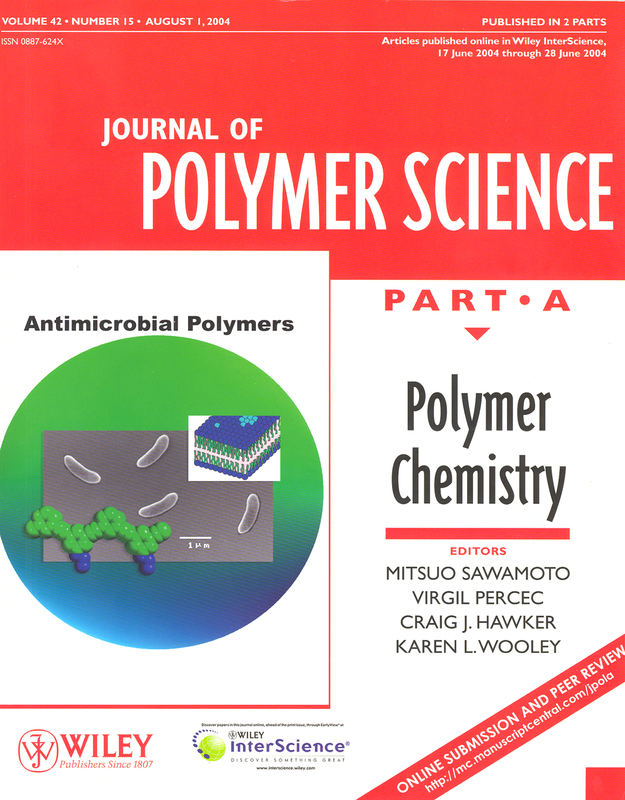 May 2010: Pentagon-funded research by Greg Tew and biotech firm Polymedix, Inc. are making strides in the development of antibiotics that can be used to treat infections such as staph and the insidious Acinetobacter (or "Iraqibacter" as it has come to be known in war-zone medical facilities). Click here to read the wired.com article. 2009: Greg has been approved to receive over $6 million dollars over five year's time in federal grant funding from the National Institute of Health (NIH) for his collaborative project, "Antimicrobial Oligomers for BioDefense and Emerging Foodborne Infectious Diseases." Aug 2009: Greg's work with magnetic polymers, which he presented at the 238th Fall ACS National Meeting in Washington, DC, is featured in Chemical & Engineering News (C&EN). Click here to read the article in C&EN. Jan 2011: Greg spent six months on sabbatical working in the lab of Prof. Harm-Anton Klok at École Polytechnique Fédérale de Lausanne in Switzerland. 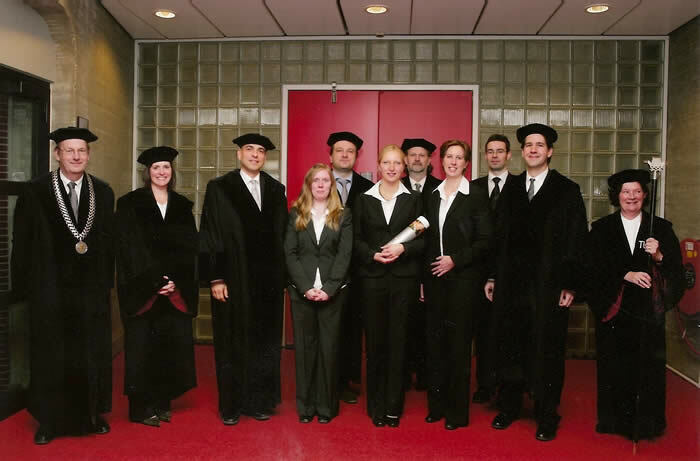 Dec 2008: Greg recently traveled to Eindhoven University of Technology Polymer Labs in The Netherlands to participate as a member of the Dissertation Committee for grad student Christina Ott. 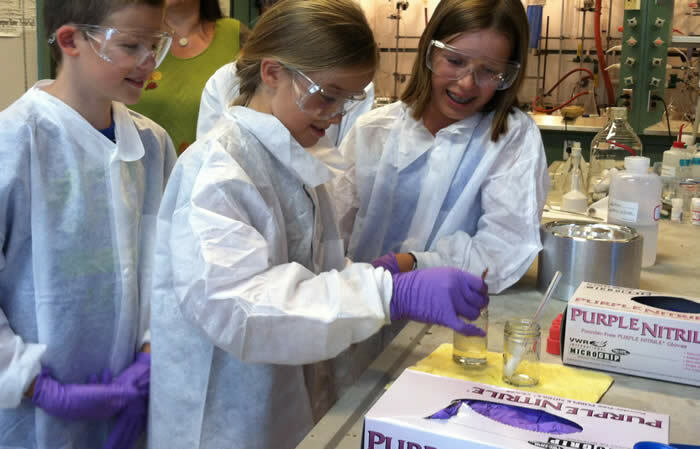 Jul 2012: The Tew Group hosts young summer visitors in the laboratory for some fun and informative experiments. Jan 2011: Federica returns to UMass after successfully defending her Ph.D. in Italy and re-joins the Tew Group as a Post-Doctoral Fellow. Sep 2009: The Tew Group will host Italian graduate student Federica Sgolastra for one year in their lab. Fede comes to us from the Polytechnic University of Marche in Ancona, Italy. Her research involves the study of non-proteinogenic amino acids. 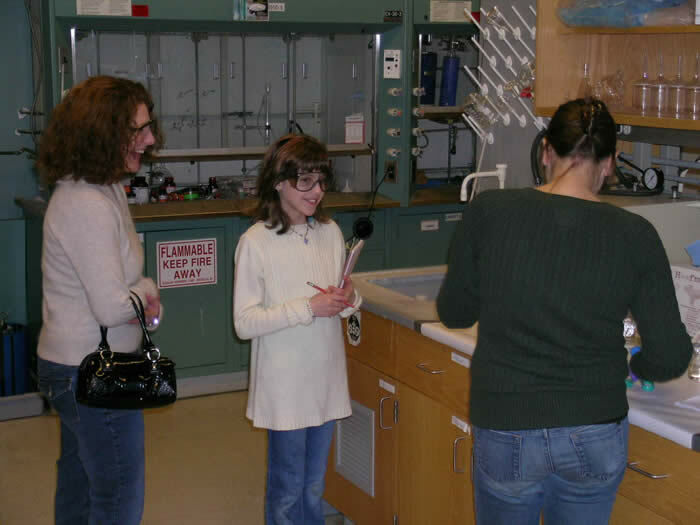 Feb 2009: Grad student Semra Colak gives an overview of polymer science to 10-year old Clarisse, a budding scientist visiting the Tew lab after earning 100 on her science test. Chemistry: A European Journal, 15, 11784-11800, (2009). View cover here. 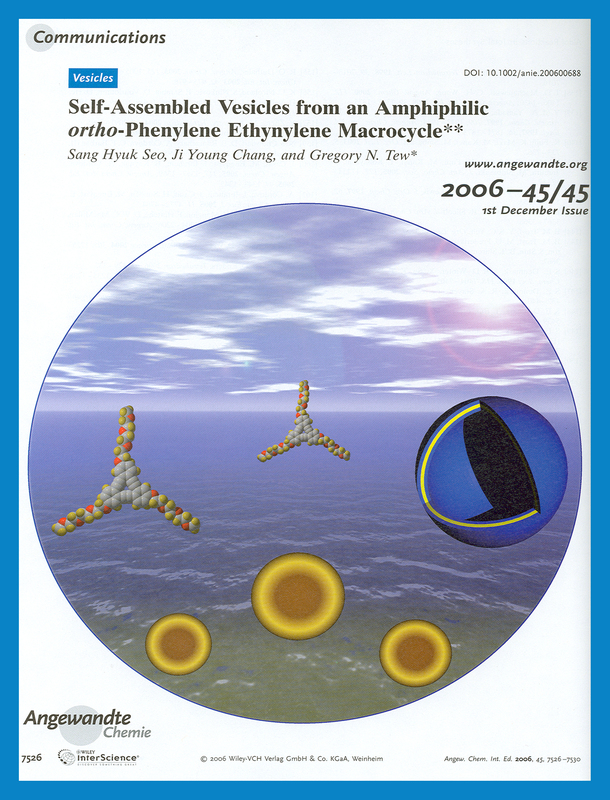 Macromolecular Rapid Communications, 16, 1349-1424, (2008). View cover here. Angewandte Chemie Communications, 45, 7526-7530, (2006). View cover here. Soft Matter, 1, 253-258, (2005). *Invited Article. View cover here. New Journal of Chemistry, 32, 676-679, (2008). View cover here. Org. Biomol. Chem., 6, 417-423, (2008). View cover here. J. Polym. Sci., Polym. Chem., 42, 3860-3864, (2004). View cover here. 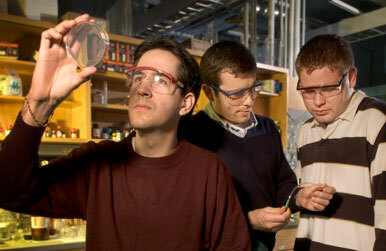 Jun 2009: UMass In The Loop announces Greg's new compound which fights drug-resistant bacteria. Click here to read the article. Jan 2009: Greg takes down bacteria! Read about it here in the Daily Collegian.